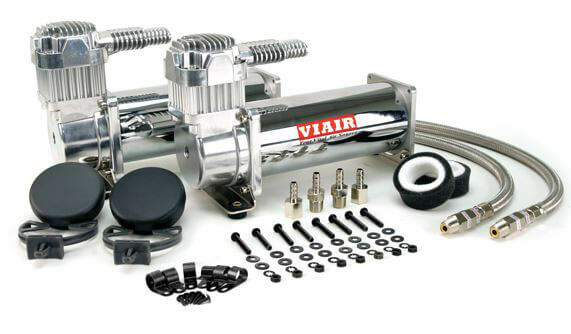 444C air compressors from VIAIR feature a newly developed head assembly with a patent-pending intercooler head. They are designed to power an air suspension system or similar application up to 200 psi with a 100% duty cycle. Available in Chrome (PN 44432) or Stealth Black (PN 44442), this VIAIR Value Pack contains two 12-volt 444C air compressors along with stainless steel braided leader hoses and inline check valves. Note: Use thread sealant for proper installation; Teflon tape is not recommended. Properly sealed, recommended torque is 12–15 ft. lb. Duty cycle: 100% @ 100 psi (50% @ 200 psi). Max working pressure: 200 psi. Max air tank size: 10 gallons. <p>444C air compressors from VIAIR feature a newly developed head assembly with a patent-pending intercooler head. They are designed to power an air suspension system or similar application up to 200 psi with a 100% duty cycle. 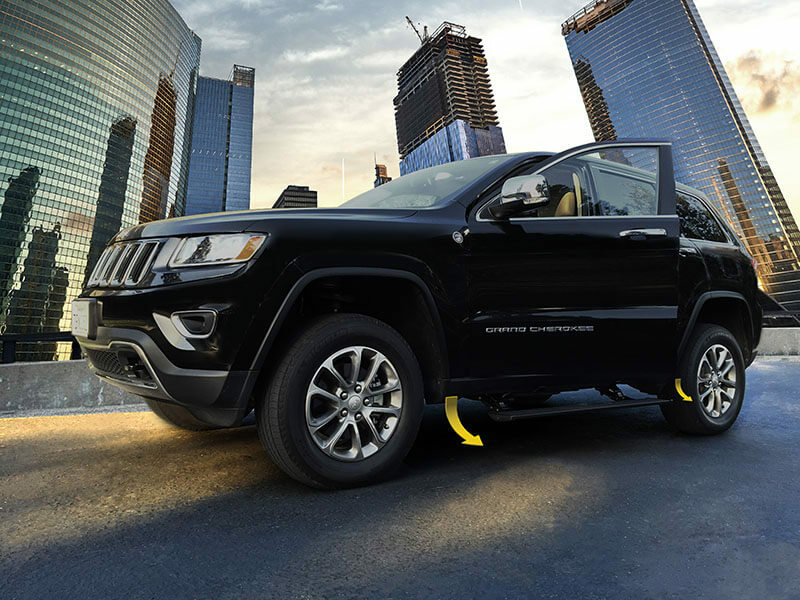 The innovative PowerStep—the automatic, electric-powered running board from AMP Research—is coming to the 2014–2016 Jeep Grand Cherokee. PowerStep is ready when you need it, not when you don’t. It deploys when you open your door, then hides itself safely out of sight when the door closes, providing welcome ground clearance, aerodynamics, and appearance. PowerStep is tested and proven to perform in long-term, real-world driving conditions not limited to snow, ice, dust, mud, and dirt. Rooted in AMP Research’s convenient plug-and-play technology, the PowerStep™ eliminates the need to access door panels as part of the installation process, providing a factory wired solution without having to tap into factory wires. Its lightweight, yet rock-solid components are black-anodized and PTFE coated to achieve maximum corrosion protection, while precision, stainless-steel hinge points and bearings ensure trouble-free action. Finally, its heavy-duty electric motor is designed to provide reliable, maintenance-free operation for decades. Standard low-profile, integrated LED light system. Anodized, PTFE-coated, military-spec finish resists corrosion. Precision stainless-steel pivot pins for solid stability. Maintenance-free, self-lubricating bushings for all-weather performance. The new 56-13725 HDX Drop Step from Westin Automotive gives 2016 Chevy and GM 1500 owners the rugged look and functionality they crave. This product features solid one-piece steel construction and heavy-duty punch plates, which enhance traction for safer entry and exit. Westin’s HDX Drop Steps also feature a notched bar design that allows for more than 2” of additional toe/heel placement over the competition. 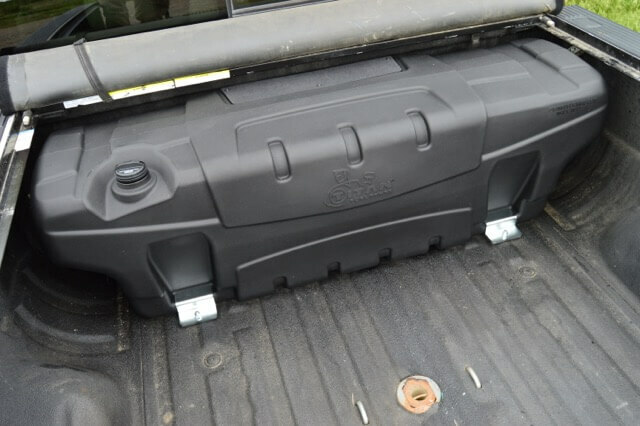 Available in a textured black finish that complements Westin Automotive HDX Bumpers, these drop steps are specifically designed to fit 2016 Silverado and Sierra 1500 pickups and include installation hardware and instructions. Die-stamped, slip-resistant, extra-wide step areas. Fits tight to rocker panel. Chiseled style complements HDX Bumpers. Go Rhino is hitting the Jeep market in a big way, porting its signature BR Series bumper to the Jeep Wrangler platform (JK and JK Unlimited). 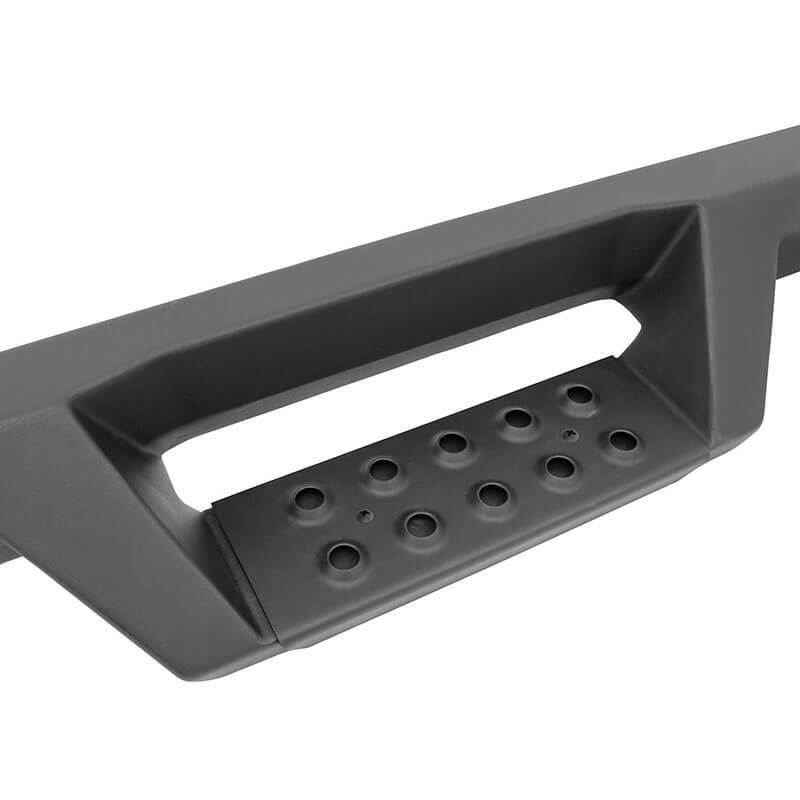 The product’s six-point mounting system and no-cut, no-drill installation make it the easiest-on Jeep bumper on the market today. 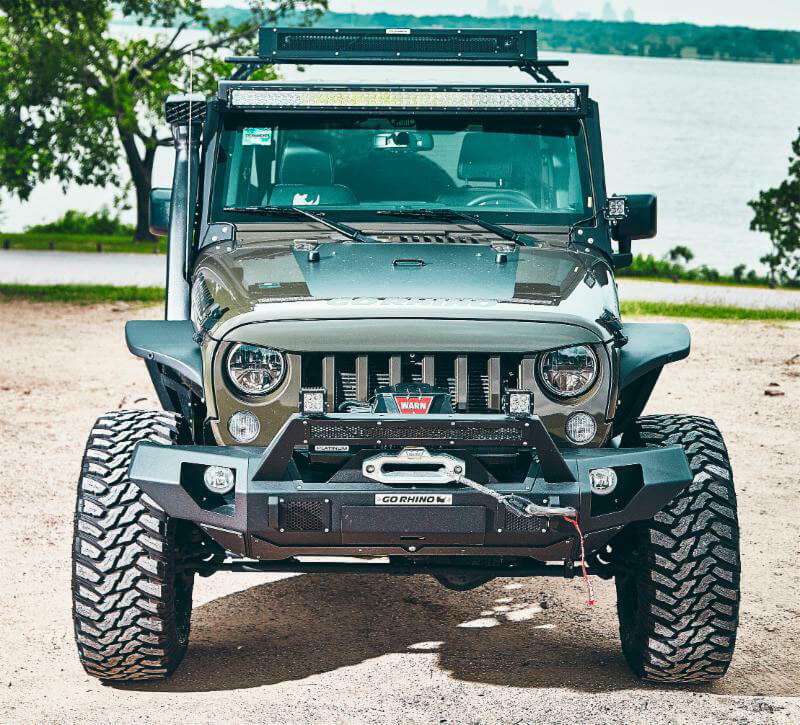 You can customize the feature-rich, winch-ready BRJ40 with three optional end cap styles (Stubby, Straight, and Full) and three optional light mount bars (Trailline, Rockline, and Roadline)—combining to present 16 separate combinations to fit every taste and personality. Bumper made from 3/16” steel; brackets formed from 1/4” steel. Polymer rub plates protect bumper. Compatible with factory fog lights. 1” steel shackle mounts with signature Go Rhino horn design. No cutting or vacuum canister relocation required. Locking drawer codes to ignition key. Accommodates up to 12,500-lb. capacity winches. Improving on the classic auxiliary fuel tank design, the new Travel Trekker from TITAN Fuel Tanks is made from a space-age polymer that doesn’t rust; is flexible enough to absorb impacts; and conducts 415 times less heat and cold than aluminum. As a molded product, the Travel Trekker enjoys enhanced strength built into the bends and contours, exceeding Department of Transportation standards. At the heart of the system is the in-cab controller, which allows the driver to conduct fuel transfers on the fly with the push of a button! 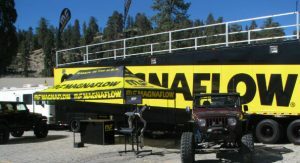 Though it holds up to 50 gallons of fuel, the tank takes up very little room; its 19.25” height allows the use of most bed covers, while its 17.50” depth leaves plenty of room for 5th wheel balls and goosenecks. Backed by a lifetime warranty and boasting the most advanced auxiliary fuel tank design to date, the Travel Trekker from TITAN Fuel Tanks is ideal for work or play! 415 times less temperature conductive than aluminum. Holds up to 50 gallons of fuel. Measures 19.25” H x 17.50” D.
Husky Liners Rear Wheel Well Guards cover, protect, and boost the appearance of your 2015–2016 Chevrolet Colorado’s or GMC Canyon’s wheel wells. 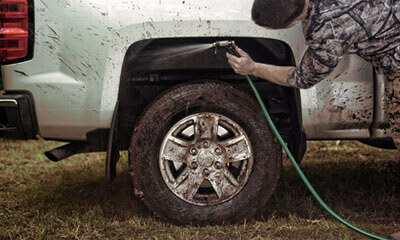 This product shields your wheel well from rust and decay caused by ricocheting rocks, dirt, salt, and myriad road debris. And thanks to its durable, impact-resistant, all-weather thermoplastic material, the 79021 is made to hold up to whatever the road spits at it. 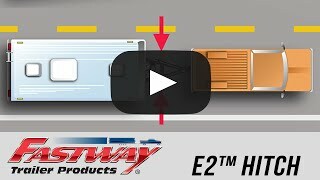 Easy to install, easy to clean, made in the USA, and guaranteed for life, these Rear Wheel Well Guards from Husky Liners are an easy pick for Colorado/Canyon owners looking for versatile functionality paired with durable style. Durable thermoplastic protects against the hazards of the road. You asked for it, and the ReadyLIFT development team has delivered: new 3.5″ SST Lift Kits for 2009–2016 Ford F-150 2WD and 4WD trucks. 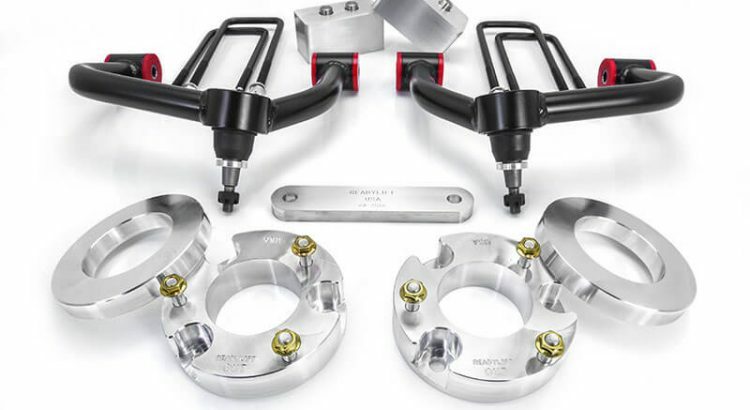 These new SST lift kits revolve around ReadyLIFT’s DOM tubular steel upper control arms, which include a 14-degree ball joint cup to ensure proper geometry and alignment. This pairing facilitates long tire life and superb handling. Each arm includes the same proprietary ball joints used in the company’s 3/4-ton truck lift kits. Each arm also includes new one-time grease polyurethane bushings. A unique offset top-mount spacer design enables the 3.5 inches of lift height. 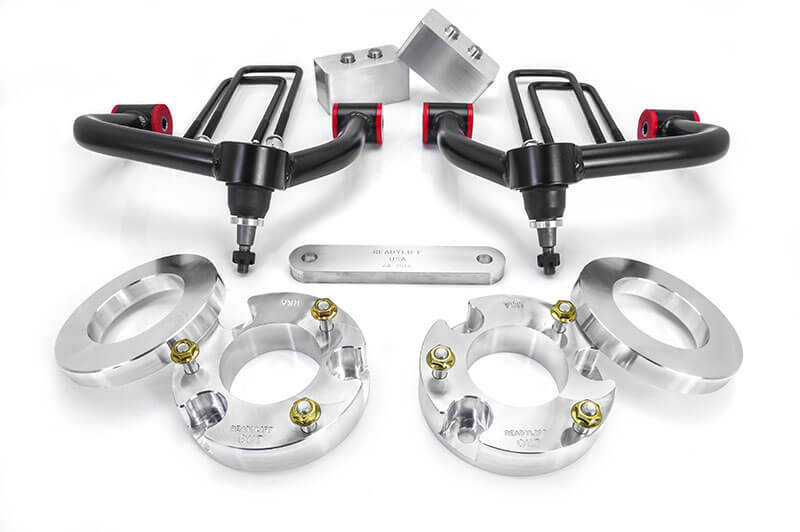 These CNC-machined, aerospace-grade, billet aluminum lift spacers feature a unique offset bolt designed to position the strut into the stock position—which translates into proper suspension clearance and a comfortable stock ride. These features conspire to produce an excellent driving and handling suspension system that truly upgrades your Ford F-150! Tire clearance for up to 35” × 12.50” tires (with minor trimming). DOM tube-steel upper control arms. New urethane bushings and steel sleeves. Offset top-mount spacers for factory-positioned struts. Strut preload spacers limit droop and protect CV joints. Rear lift blocks (with hardware) in both tapered and flat versions. Supplied carrier-bearing spacer (for two-piece driveshaft). You asked for it, and the ReadyLIFT development team has delivered: new 3.5&#8243; SST Lift Kits for 2009–2016 Ford F-150 2WD and 4WD trucks. 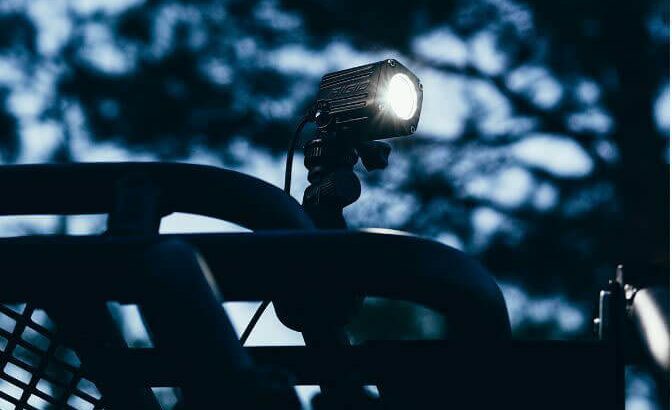 Available in flush-mount and surface-mount options, the all-new Ignite is the smallest, most versatile light in the Rigid Industries catalog! 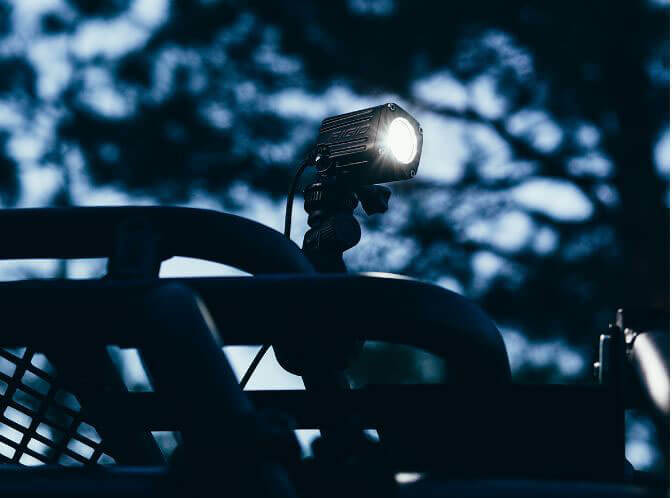 Measuring approximately 1.4” × 1.4” × 2”, this flexible light packs 1,000 raw lumens in Spot, Flood, or Diffused beam patterns—perfect for any application where short-range light output is desired. imagination. The compact and lightweight housing integrates seamlessly in a variety of locations, including on cars and trucks, motorcycles, UTVs, and even marine vehicles. The Ignite’s low current draw (< 1A) and voltage requirements (6–28V) allow it to adapt to nearly any application. Single-light kits include one Ignite, mounting brackets, and related hardware. Available two mount styles: flush and GoPro-compatible surface. Low minimum voltage: 6–28 VDC. Durable housing is IP68 compliant. Available in Spot, Flood, and Diffused beam options. 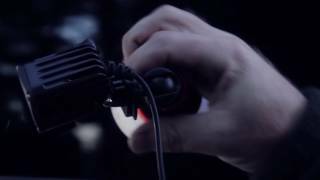 Rigid Industries quality and performance. About an hour outside downtown Los Angeles, the 210 splits off of Highway 330. 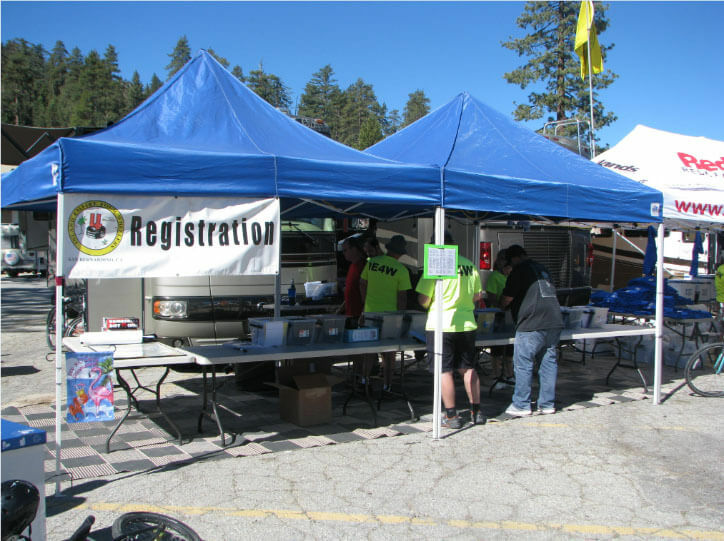 Hang a right onto Highway 18 for another 15 miles and you come to Snow Valley Mountain Resort: the annual rendezvous for the Inland Empire 4 Wheelrs’ Big Bear Forest Fest. After signing in, Paramount met with old friends, sponsors, and fellow Southern California locals Team ReadyLIFT to break off from the main group and take a new trail (to Paramount anyway): route 2N13, also known as Holcomb Creek. For those new to Forest Fest, there are two major days of trail runs. Friday’s trail runs tend to be more technical, with full rescue equipment (especially axel lockers) mandatory. Boasting triple the options of the previous day, Saturday offers more recreational runs for folks with Jeeps a little more comfortable on the streets. But the event didn’t stop at trails. A trade show allowed Paramount to see old friends and sponsor Magnaflow, and a family-friendly camp-out party let everyone enjoy the rugged beauty of the area. The start of 2N13 had Paramount wondering if they’d really get to put their new Stinger bumper with grille guard (51-0389) through its paces, aside from pitting the protective powdercoat against the wet. The total run time was perfect for a day trip—about 4 hours not counting scenery and photo stops—and the trail let out in the town of Fawnskin, California. A paltry 5 minutes from downtown Big Bear, Fawnskin features plenty of eating options, from local favorites like Get The Burger to more exotic fair like Himalayan-themed cuisine.